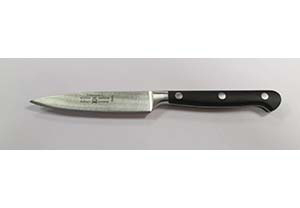 Top quality forged steel paring knife - forged from one piece of Solingen stainless chromium-molybdenum steel. For fruit & vegetable preparation. Blade length: 4in / 10cm.